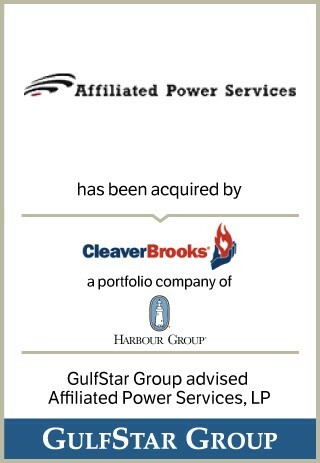 Headquartered in Houston, Affiliated Power Services, LP is the holding company for a portfolio of companies focused on providing industrial, commercial and marine repair and maintenance services throughout the Southwest United States. With more than 70 years of industry experience, an immaculate safety record, and full service capabilities, APS has established itself as an industry leader in its core service categories, including value-added turnkey industrial and commercial boiler services as well as marine vessel repair and maintenance. The Company maintains locations in Dallas, Houston, and Corpus Christi, Texas, as well as an independent shipyard facility in Channelview, Texas.